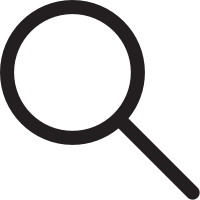 The Bristol, North Somerset and South Gloucestershire CCG Governing Body meets once a month. Members of the public are welcome to attend Governing Body meetings and listen to the discussions and observe the decision-making process. However, it's important to note that although Governing Body meetings are held in public, they are not 'public meetings'. 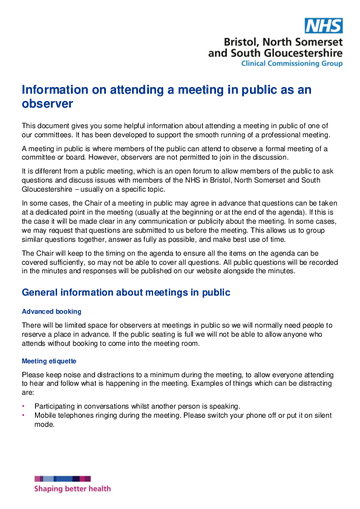 Information about attending a meeting in public of one of our committees, to support the smooth running of a professional meeting. All formal meetings of the CCG Governing Body are held in public unless specifically indicated. Members of the public are able to ask questions or make statements during the allocated agenda time. Papers for this meeting will be available here one week before the meeting.